The decision to move forward with a custom swimming pool can be an exciting one! In a few short months, you and your family will have an inviting, centralized outdoor space to enjoy for years to come. But- before you start picking out your new backyard barbecue, and before you start planning the out your sister’s daughter’s 6th grade graduation party, there are a few other things you’ll need to cross off your list. First and foremost, you’ll need to decide which company to hire to help you with the construction, design and installation. Yes, there are many companies that claim they can help turn your vision of a custom swimming pool into a reality, but you should know that not all pool design companies are alike. If a company claims to be a custom pool builder, they should have the experience, the references and a portfolio to back the claim up. Yes, there are many companies that have past experiencing in building above ground pools, kidney shaped pools and fiberglass pools, but that’s not to say they know the ins and outs of the design process. Before you sign any paperwork, be sure to ask them for a random sampling of references. For example, ask them for references who all have a first name that begins with the letter P. This will ensure that the company isn’t picking their top 3 favorite customers who are guaranteed to give them a good review. You should also ask them if they have a portfolio of past work. If they don’t have a portfolio, that’s a red flag, especially if the company is “supposed to” specialize in custom pool design! Lastly, ask them if they have experience in working with the types of materials you’re interested in using. If they don’t, but the person you’re speaking with tried to convince you it won’t be a problem, you’ll be better served by moving on until you find a company that meets all of these criteria. Building a custom-designed swimming pool takes a whole lot more than a shovel, a wheel barrow and cement. Be sure to ask the contractor you’re speaking with whether they’re up to date on the latest custom swimming pool technologies. Ask them about the tools they’ll be using—and ask them what types of materials they intend to use during construction. Ask them about possible delays, and the types of hiccups they’ve experienced in the past and the steps they took to get those issues resolved. Make sure they are up front and honest with you about any possible delays you may experience with the construction of your pool. The more informed you can be about the process and timeline, the better. If you’re satisfied the designer has the experience, the background and the know how to get your project done right, make sure you get everything in writing. Also, you’ll want to keep in mind that you should ever sign a contract during the first visit! Remember, the first appointment should be centered around fact finding. The designer should be asking you about how you intend to use your pool, how large you’d like it to be, whether you’re like to incorporate a hot tub, where you’d like to have it installed and what types of features and landscaping you’d like to see drawn into the design. Once they have that information, you should expect to receive the design plans within about a week. If they try to discourage you from asking questions and they seem to be more interested in getting your signature on the dotted line than they are in making sure they understand your wants, your goals and your needs, you can consider this to be a big red flag, too. 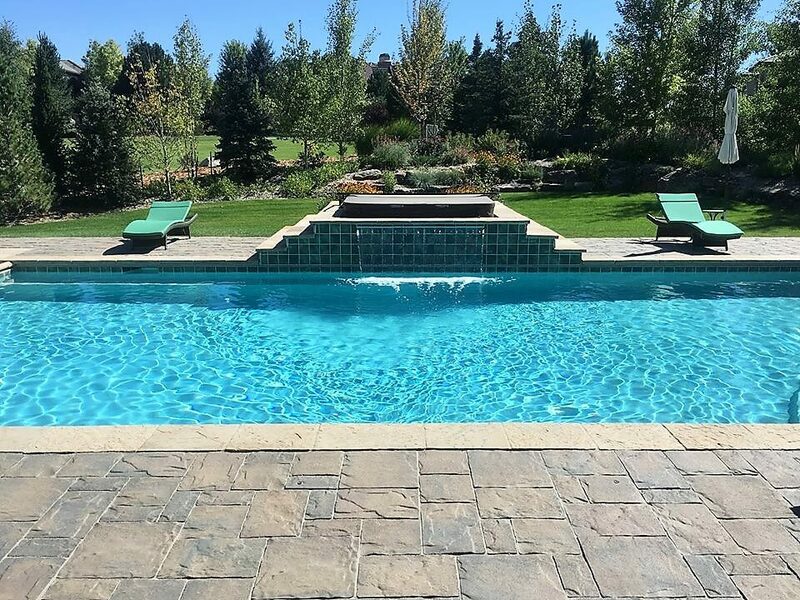 At Wetworks Pool and Spa we have more than two decades of experience when it comes to custom pool design and install in Parker, Colorado, and we’re proud to say that we specialize in turning our customers dreams into a reality. We’re family owned and operated and we’re fully licensed and insured. In addition to being able to help you design and construct your new pool, we can also help you with a custom maintenance package, which can help ensure that your pool continues to run as beautifully and efficiently as possible. If you already have a pool and you’ve realized you need help with repairs and/or new equipment, we can help you with that, as well. It’s our goal to be the top-rated, full-service provider of custom swimming pools, pool maintenance and new pool equipment in Parker, CO.
For more information about our company, the custom design process or the timeline between receiving designs and completion of your pool, call us today at 720-401-0004 to get started.